All photos are actual pictures taken at Grand Valley Lakes & Lot 567. 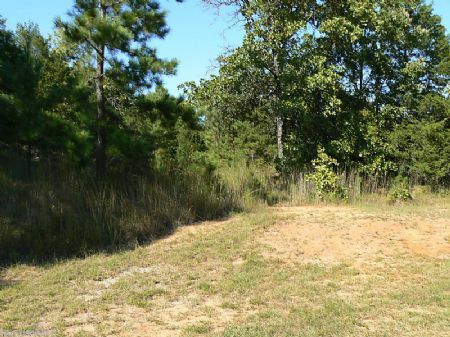 •	Lightly wooded, buildable lot near the golf course! •	Electricity is provided by The Bolivar Electric Company. •	Water, Electric and Phone available in the community. Grand Valley Lakes is a beautiful and peaceful gated community situated in the town of Saulsbury, located in Southwestern Tennessee. Grand Valley Lakes has approximately 2000 home sites positioned on gentle rolling hills. This gorgeous golf course and lake community is one hour from Memphis and only 10 miles from the City of Bolivar. Bolivar is the county seat of Hardeman and has medical facilities, shopping, governmental agencies, a library, etc. Smart Money magazine has identified Memphis as the second most undervalued homes in the nation. Grand Valley Lakes subdivision boasts three scenic lakes in addition to a marina with covered boat slips, fishing and community beaches for your enjoyment. Grand Valley Lake, at 225 acres, is spring fed and is the largest of the community’s 3 lakes. Gas motor boats and jet skis are allowed. The area is abundant with wildlife including geese, deer, fox, quail, and wild turkeys. Grand Valley Lakes is the home to Deer Creek Golf Club. This 18 hole par 72 USGS rated Championship Course has five sets of tees for 5142 to 7000 yards, and received 3 ½ stars in Fodor’s 2004 Golf Digest of Best Places to Play. The course has Tif Eagle Bermuda Greens, tree lined fairways and 38 sand traps. Deer Creek Golf at Grand Valley Lakes is semi private course, available to the public and to subdivision residents. There is a large clubhouse, which includes a grand banquet hall, gym/exercise room, kitchens and houses the POA offices. A new 7,000 sq. ft. clubhouse was constructed in 2008, which include additional features such as a new Golf Shop, lounge and pool. This has spurred numerous building within the community and around the golf course. Click here to email the Owner and get more information or schedule a viewing of this land.